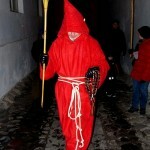 Tales of the Red Monk – a costumed, evening tour in Tallinn’s Old Town. The guardian of Tallinn – the Red Monk will tell you unusual and scary stories, legends, and will show where in Tallinn you can meet ghosts. 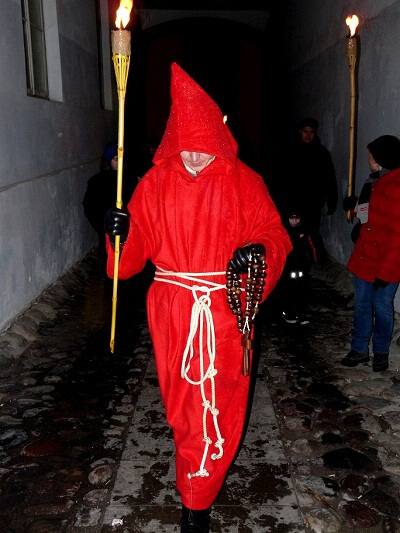 In front of the famous Town Hall you will meet the Red monk and together with him, lighting your way with torches, we will visit mysterious places in the center of Tallinn and learn and hear the lore of famous merchants and landlords. The Red Monk will tell you about the various ghosts you can meet in the garden of the Danish King, the Virgin’s Tower, and the Short Leg Gate Tower. We’ll uncover the secret of Dome Church and the ghost of the maid with the chair. If we are lucky, we can meet the spirit of a knight, who cannot rest in peace. Only the bravest of us will make it to the end! Medium - Total walking distance is 2 kilometers. Total walking time is 1.5 hours with many stops along the way.